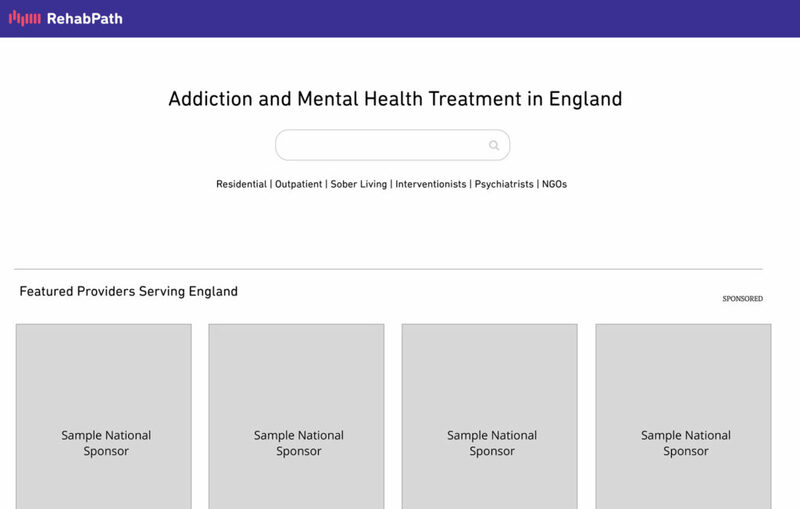 RehabPath is looking for partners to support us as we build a comprehensive, UK-focused, website for people to learn about addiction and find addiction treatment providers that are the right fit for them. This site will also serve as a reliable and ethical marketing channel for high-quality providers serving UK clients. The site will contain a comprehensive directory of treatment providers in the UK. Users will be able to search based on geographical region, provider type, treatment specialties, ability to pay, and more. In addition, the site will contain key educational content to inform families on the most important aspects of taking the next step in the recovery process.